This is one integrated mount for E3D V6 hot end for ultimaker original. Designed to be used with ultimaker heater cartridge but with e3d heater block. For use the thermocouple you have to take out the thermocouple from its original encaspulate (metal) and use it without it. (maybe you have to take out also the ceramic protection inside it) It's really easy to do. Tested with Reptar XY blocks and the ones designed by alan89 (I use this ones). Not tested with original ones. Double fanduct for 40mm fans. The fans are 4mm high to avoid clips for heated bed. This is the first version, still testing it. [EDIT] Updated file for right fan, the one in E3dV6 was ok but the "right fan" file was an older version. Sorry. filled 100%, ABS, some oozzing on the fan shrouts, the rest is perfect. Print it without any support! "Solidworks file on youmagine" ... and where? 1.) The left fan started to melt to the heatblock as it's a little closer than the right one, is this due to a bad heatblock I got or is there something I can do? Also, both fans seem a little high (like 2mm) and seem to cool mostly the heatblock, not the part. 2) You've updated most files here in April 2016 while the ones you uploaded on another Platform (thingiverse) haven't been updated. What was the update? I took out the cad files since someone use to clone it, sell it in chinese store made in aluminium and made business with my free job. So i won't upload cad files any more. Sorry. Are the CAD files still available? It says on the Thingiverse page that they are available here, but I can't find them. I'd like to remix this one for the ultimaker 2 (and clones thereof), where the xy rods are reversified. This works as is, but since they changed which axis rods are on top and bottom, the extruder mount sits 90 degrees off of it's intended angle, and the fans get in the way towards the back of the machine. Why did you rotate the fans from the original design? It means having to adjust the build area, which is a pain. If you're using E3D 30mm and 40mm fans, 2.5mm x 18mm plastite screws are working fine to fix them on the 3D printed pieces. What about the electronic part? 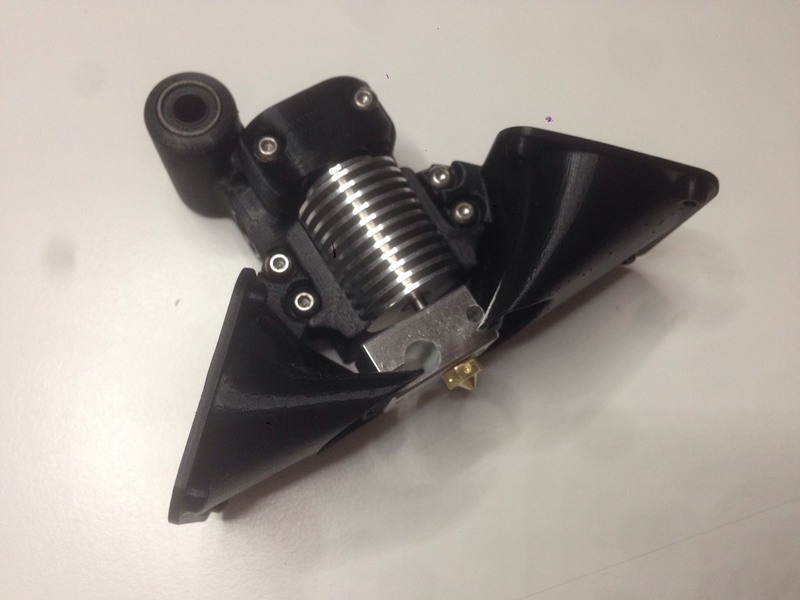 How do you mount the new extruder and 3 fans instead of one on an Ultimaker card? I bought 12V fans, is that ok? 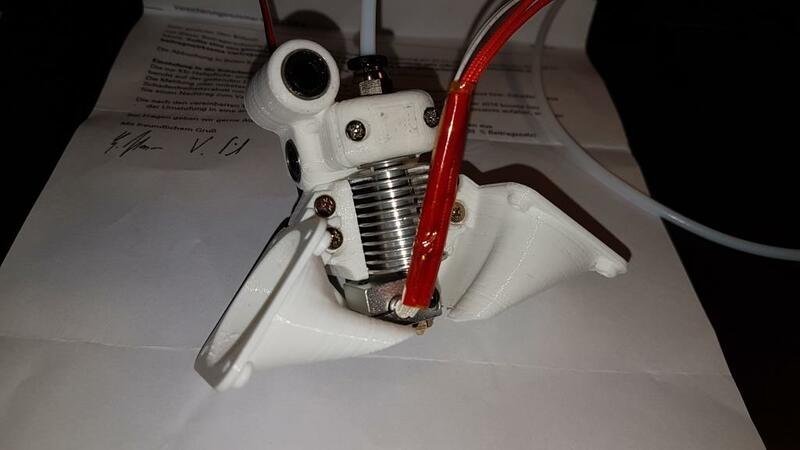 The regular Ultimaker extruder fan works with 19V.